Rowlet in game: 5,848 Who? Important notice! Pokemon Rowlet is a fictional character of humans. Rowlet (Japanese: ?? ?— Mokuroh) is a dual-type Grass/Flying Pokémon introduced in Generation VII. 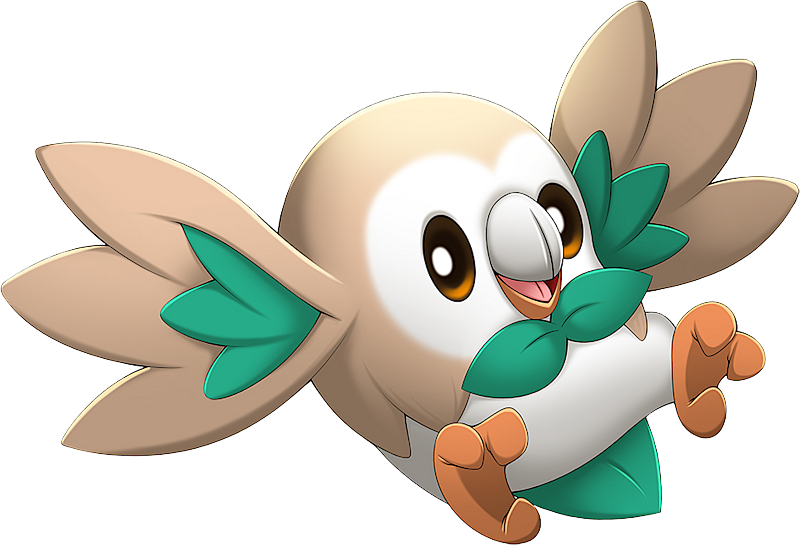 Along with Litten and Popplio, Rowlet is one of three starter Pokémon of Alola available at the beginning of Pokémon Sun and Moon. Ash caught a Rowlet in SM004. Professor Kukui owns a Rowlet that first appeared in the Sun & Moon chapter. 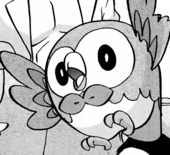 Rowlet is the lightest starter Pokémon. Rowlet is tied with Froakie as the smallest unevolved starter Pokémon. 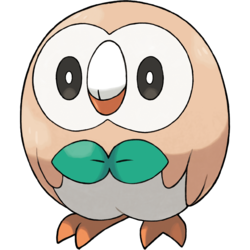 Rowlet is based on an owl, likely of the tytonidae with its heart-shaped face. Mokuroh may be a combination of ? moku (wood) and ? fukuro (owl).